The ring looks beautiful! I have only had it for a week, but the metal has held up well so far (my greatest concern). I bought this as a replica of my wedding ring to wear for travel, working out, or anywhere that I might be worried about losing it. 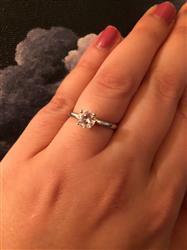 I was so pleased with my ring that I have already purchased some earrings. Highly recommend! Thank you for great customer service and for beautiful ring! I love it! This ring is incredibly beautiful. My husband got it for me because when I was giving birth he lost my actual engagement ring. 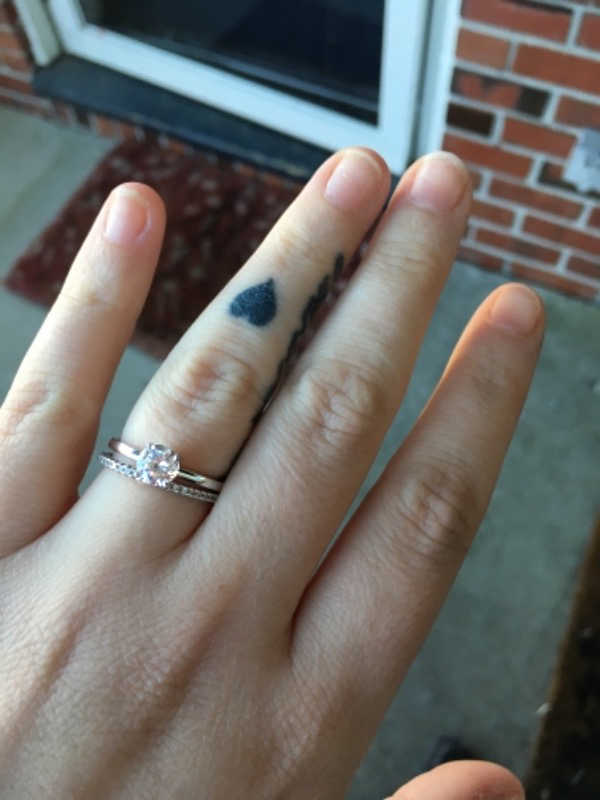 He knew I wanted something a little more simple and this ring is stunning. This ring is georgous. I received it so fast after ordering and am alrey planning on bands to do with it. Shipped right on time for my girlfriedn's birthday. Everything went according to plan. Thanks a lot!